Let’s face it: video marketing is getting harder. And social media platforms like Facebook are making it even more complex. 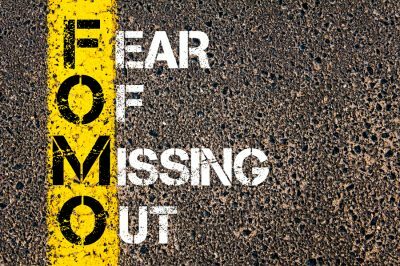 From evergreen content to “disappearing” videos, there’s a lot of content out there and you need to cut through the noise. But there’s still plenty of opportunity. According to Vibhi Kant, Product Manager at Jie Xu: people spend more than 3 times watching Facebook Live video when they’re actually live. That’s a lot of attention waiting to be tapped into. Couple this with the fact that brands have published well over 15,000 Facebook Live Videos, according to the same repository. It’s clear that Facebook is taking charge in the live video space. The question is, how can you create a live video strategy that engages with your audience and contributes to your overall social marketing strategy and customer success goals? In this article, we’re going to cover current observations in the live video space, the forms of content you should create and how to integrate it into your overall social media strategy. 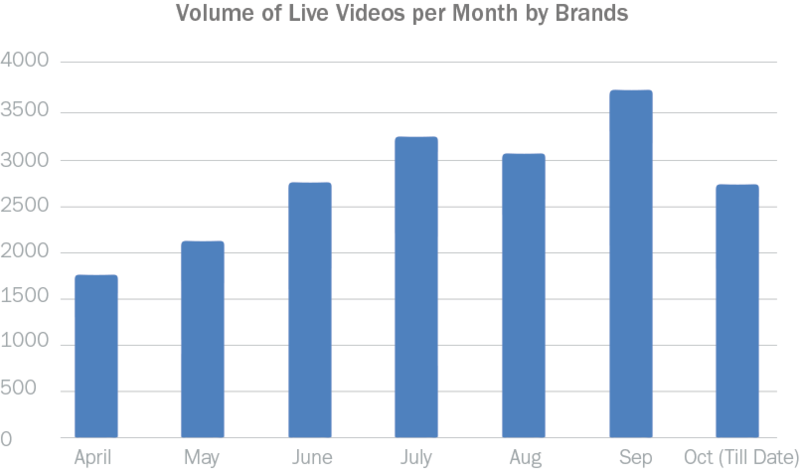 Brands have embraced the Live Video feature ever since Facebook rolled it out globally, in the beginning of April. 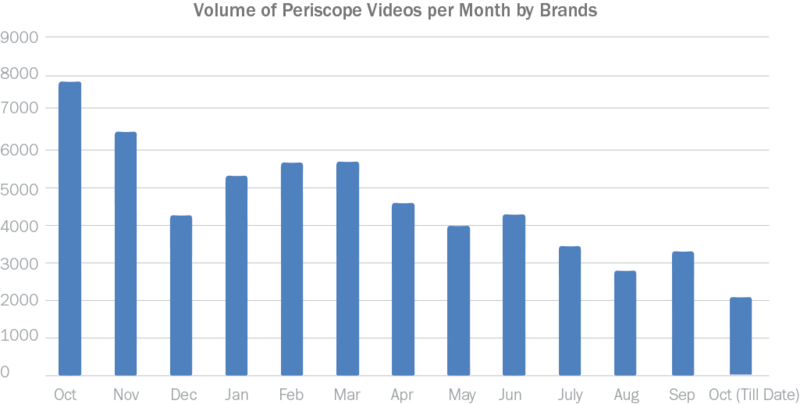 If you look at the number of Live Videos that brands have published since then, it shows remarkable growth. Not all brands are creating Live Videos with equal enthusiasm. Some sectors are going live much more than others. 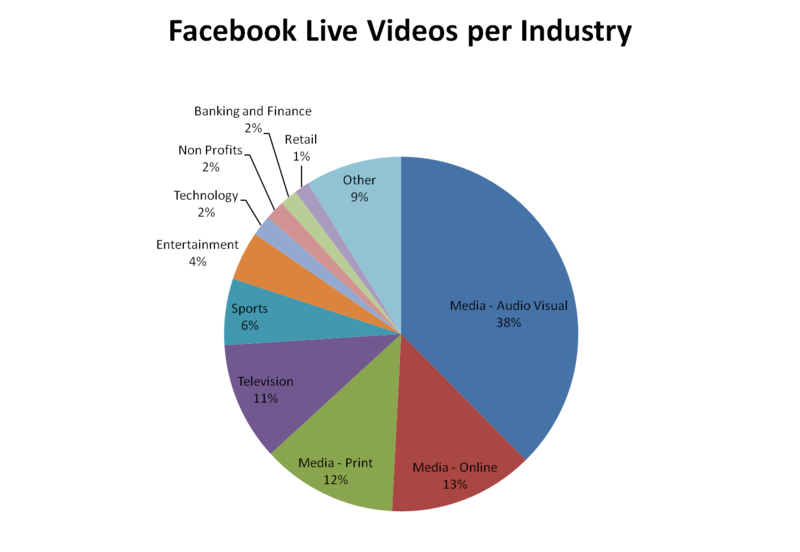 Take a look at the sector-wise split of brands publishing Live Videos. You’ll notice that the sectors that are already familiar with the live video formats (Media, TV, Sports, Entertainment) are producing more than others. However, this does not mean that only these sectors should produce live videos. Since Facebook now allows live videos to be recorded using equipment other than your smartphones as well, these sectors can stream live video content they create for broadcast elsewhere. To give you an idea of how much engagement brands stand to gain from going live, take a look at this instance by Fendi. The luxury fashion brand did a stellar job using Facebook Live to telecast a fashion show they did at Trevi fountain in Rome. While this makes the case for brands within the luxury industry and those that target the same demographic trying out Live Videos, it does not apply universally. Before you dedicate efforts to creating Live Videos, measure how such videos have been received by your audience. Consider the resources you have at your disposal too. In order to decide how much effort you should devote to live video creation, you need to identify the benefits you stand to gain. In the next section, I discuss three common ways in which brands use Live Videos. Be sure to keep an eye out for the engagement the featured brands receive. Now that I’ve got you excited about Live Videos, what about actually making one? This application of live video content is quite similar to the use of that format in television. As I mentioned earlier, this is usually live stream that is simultaneously placed on different media. Industries other than the Media also use live videos to cover notable events such as product launches, commencement ceremonies, etc. The Met made use of this feature to carry an interview Amjad Ali Khan and his two sons who had just performed to a sold-out crowd at a MetLiveArts event. As we saw with Fendi’s Post earlier, live video can be a great asset to creating a buzz around a major event. Live videos are a great way to show your audience how your product or service works. Unlike ads which feel more artificial, live videos show the product without fabrication. Similar to demos, brands also live stream tutorials, like Sephora did here. They brought in Bronwin Robinson, a renowned stylist to conduct a tutorial where she showed how to use a set of cosmetics to achieve a look popular in the NYFW. Roping in experts is a great way of showcasing the credibility of the product. For example, Head, the tennis gear brand live streamed a Q&A with Andy Murray. The video garnered over 2 million views. A flaw here, aside from featuring someone who has a reputation for being grumpy, is that they did not announce this in advance. The initial bits of the video, hence, is just the star awkwardly trying to get a hang of the whole thing and waiting for audience’s questions. Another popular application is the use of live videos to get social media audiences excited about a big event. Here, live videos are used to offer them a glimpse into the behind-the-scenes action. These can show preparations that are underway for a huge function or the work that has gone into designing a product. Here’s how Denver Broncos used Facebook Live to offer their social media fans a chance to see the team hard at work to bring a BroncosTV episode out. While this is very popular with events like fashion shows, the brands that use live videos as teasers include the Tate Modern and Mercedes-Benz. Making a live video sure sounds exciting. It is definitely something that gets a lot of brands much-needed attention. Brands need to carefully consider how live videos fit into their social media strategy than do it as a one-off attempt to do something different. A great way to start will be to ask yourself what you seek to accomplish from creating a live video. If it is greater coverage for an event, the strategy will vary markedly from increasing your audience’s awareness about your product. Usually, the answer to this question is the social media goal that you have set for the campaigns that you currently run. This leads me to the next concern: How does Live Video fit in with the rest of your social media content plan? Live videos can be tactically used to get your audience to pay attention to what you would have otherwise needed a long article to convey. That does not make it boredom-proof. Make sure you leave your audience with a clear call to action, that runs throughout the span of the video. With a lot of brands dedicating specialized efforts and resources for the creation of Live Videos, it will be best to announce the details of the event beforehand. This is important especially if you are looking for a more interactive session, which requires your audience to be watching the video live. You can now schedule a Facebook Live event to keep your Fans in the loop and elicit maximum participation. Live videos are a great way of tapping into your influencer resource-base. A lot of top brands, like Nike, share Live Videos that are put up by the athletes or celebrities they sponsor, or have them host a Live Video on their own channel. Owing to their huge fan following, your brand is sure to experience a surge in engagement. This is not just an engagement hack. By inviting comments from your Fans on your Live Video, you get rich insights into your Fan base. 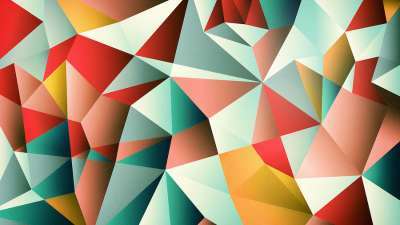 This can inform your content strategy as well as product design. Here’s a great example from Kroger. Think of Live Videos as just one element of a campaign you build around it. Just as you should have Posts that announce a Live Video, there can be Posts that refer to and take off from a Live Video, like what Elephant House Ice-cream did. This ensures that you get a lot of engagement out of all the efforts and resources you spent on the video. This is key to keep people interested in what your brand has to say. If you have put a lot of effort into creating a live video, it will be best to have it stay on your Facebook page, and to periodically share it. Once you have published a live video, you will have a rich data-set you can analyze to judge the effectiveness of this endeavor. Depending on how the attempt has helped you achieve your social media goals, you can take a call on the frequency with which you should do live videos. Facebook Live is a wonderful way to convey who you are as a brand. Whatever direction you take this format, keep in mind that it builds your audience’s perception about the company. So, make sure you have fun with it. About the Author: Lakshmanan (Lux) Narayan is the CEO and Co-Founder of Unmetric, the social media intelligence company. 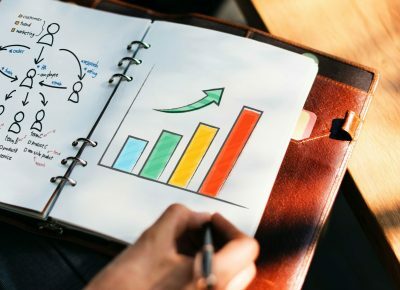 This article was put together using Discover to identify high performing content. CrazyEgg readers can get a four week trial of Discover here. This article was written by today's Daily Eggspert. If you would like to contribute as an Eggspert, please reach out to us here.